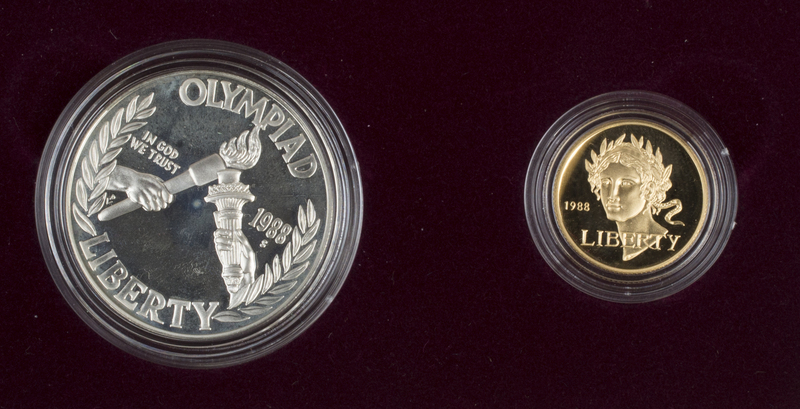 Two boxed sets of commemorative 1988 proof gold and silver coins from the US Mint celebrating the 1988 Olympics. Box 1 - Includes certificate of authenticity and Gold Five Dollar Coin and Silver Dollar Coin. Box 2 - Includes Gold Five Dollar Coin and Silver Dollar Coin.